Is there anything better than cozy hotel robe?! Heheh! I want to be very clear, this is not a sponsored post. 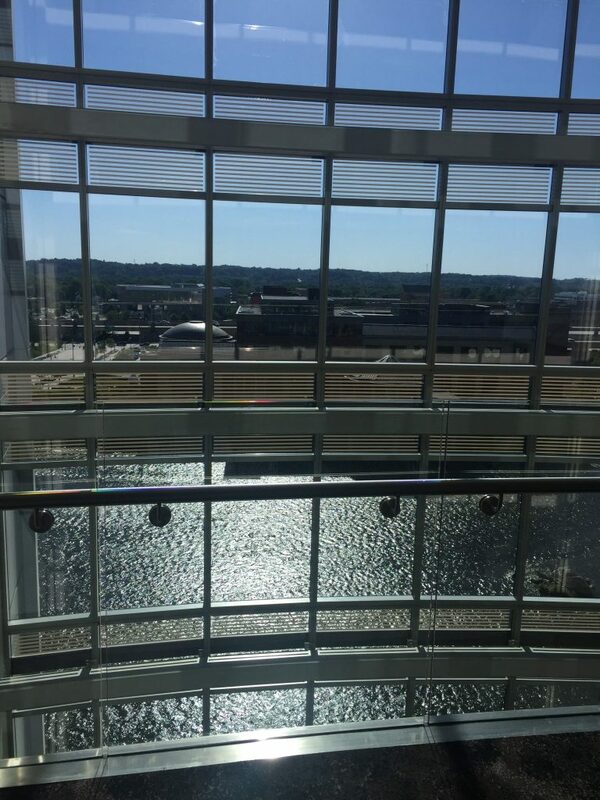 This is simply a post that I wanted to share for fun because the JW Marriott is easily my favorite hotel in Grand Rapids. For those of you who have followed my blog for some time now, you know that I have a love for the west side of Michigan. I gravitate toward the Lake but I also enjoy spending time in downtown Grand Rapids. Every now and again when I am in the area working, I stay in a hotel for convenience and for fun. I love it because I am able to get so much done just being away from home for a night or two. 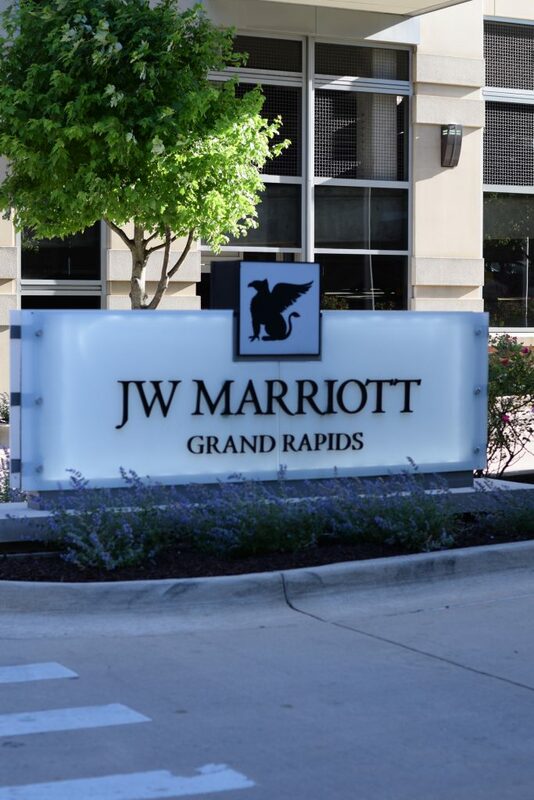 If you are ever in the Grand Rapids area, I highly recommend the JW Marriott. The staff is always so incredibly kind and always goes above and beyond to provide quality service. I love the restaurants, the bars and the rooms. The facility as a whole is clean and well maintained and I so so appreciate that when I am considering a hotel. I documented a full day at the JW Marriott for you guys! Wake up, throw on my cozy clothes, grab some Starbucks from the lobby. Head back up to the room, put on the big cozy robe, drink my coffee in bed! Swim, or in my case hot tub and sauna! Back to the room for a shower, outfit change, and some work. Annnnnd it’s at this point in my day that I’m ready for happy hour followed by dinner and drinks along the river. This is my little version of a perfect day! A little staycation with an added opportunity to work without distractions. If you ever have any questions about this hotel or other options in the area, feel free to reach out! This was a fun little post to share, a small peak into the JW Marriott and a random weekend away for me!